As easily as a thermometer tells you the temperature, KeyOmeter automatically determines and displays the musical key. 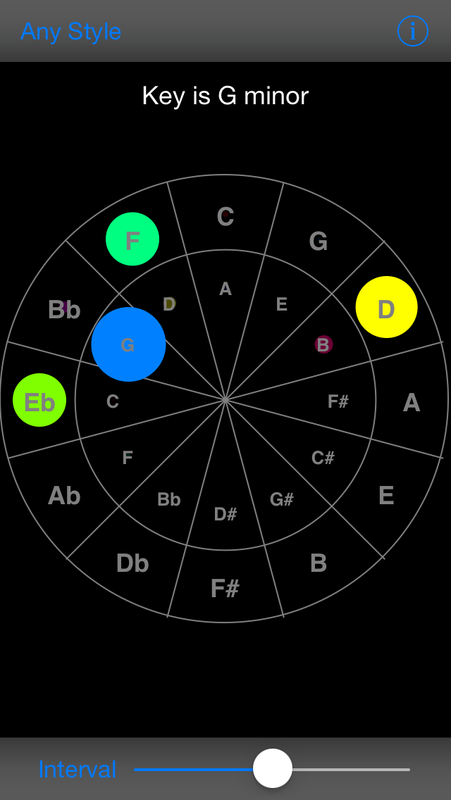 KeyOmeter operates in the "circle of fifths" -- a visual representation of the 12 tonal centers or keys of the Western chromatic scale. The outer circle displays the twelve major keys, the inner circle shows their relative minors. Most music is not in a single key but modulates from one key to another. KeyOmeter follows and displays changes in key over time in live music. The following examples were captured on the iOS simulator driven by an iPod. The first example demonstrates the circle of fifths. A series of scales are played, each a perfect fifth higher than the previous one. The next example is a section of Mozart's C major piano sonata. Notice the modulations from C to G, G minor, C, and F.
Next is a part of "Sunshine of Your Love" by Cream showing the effect of different style settings. The last example is a section of "Lullaby of Birdland" with Stan Getz. The button at the top left selects the musical style -- Any Style, Blues, Rock, Classical, Jazz, and Eastern. This control determines what scales are matched against detected notes to determine the key. The bottom slider controls the interval over which the key is estimated - from about 37 milliseconds to almost 3 seconds. Adjusting these controls for different musical styles, tempo, etc. 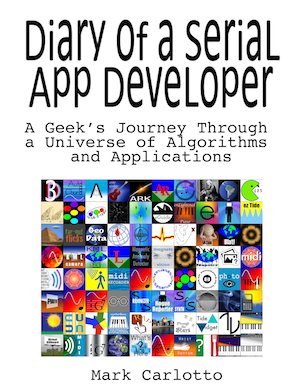 affects the accuracy of the app so some experimentation is required.